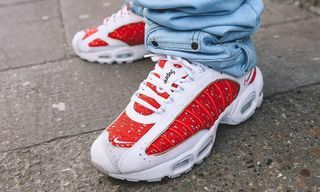 After numerous leaks over the last few months, we can finally take a detailed, official look at the next collaboration between Supreme and Nike. 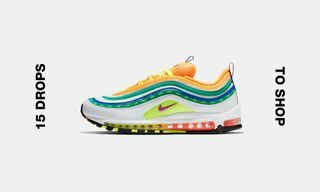 For Summer 2016, the two brands get together on the Swoosh’s Air Max 98. 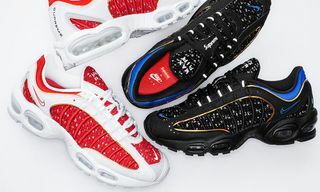 Not the most obvious sneaker to collaborate on, it once again shows how in touch Supreme is with its fan base. 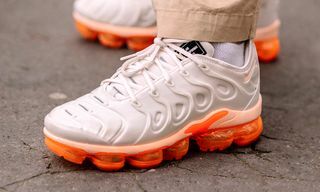 Clunky ’90s sneakers, especially ones with heavy ties to UK culture, have been celebrating a comeback for a while now, including the Nike Air Max 95, and the AM98 will most likely also have some more attention paid to it after this one. 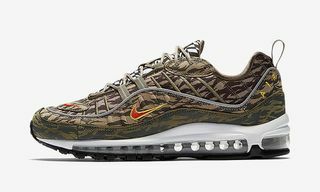 The Supreme x Nike Air Max 98 features full length Air Max cushioning midsoles, metallic mesh uppers and reflective details. The sneakers will be offered in four colorways along with a Dri-FIT running cap in five colorways. 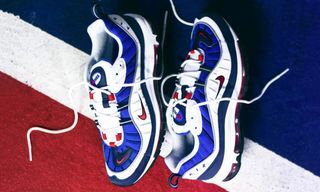 The Supreme x Nike Air Max 98 will release online on April 28 and in Japanese Supreme stores on April 29. 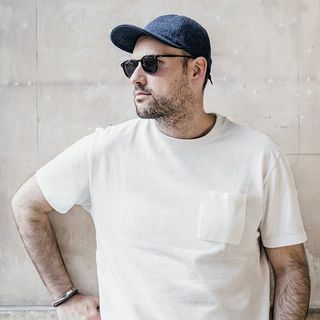 The sneakers and the caps will not release at Supreme stores in New York, Los Angeles, London and Paris. It seems like Supreme wants to make sure that all hell does not break lose on release day like it has in the past. In other good news, the sneakers will also be sold at NikeLab locations, starting April 30.